1.Can I use the Yatour YT-M05 to listen to my applications, and internet radio? 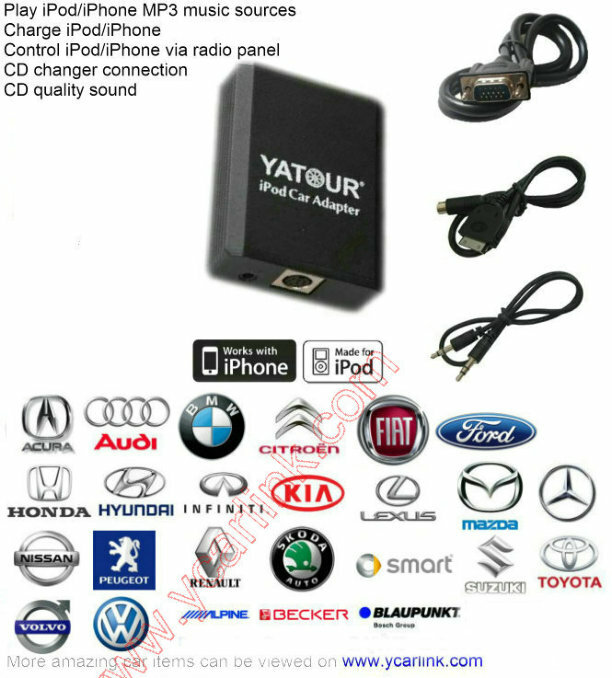 Yes,Yatour YT-M05 will give you the ability to listen to applications and stream internet radio. 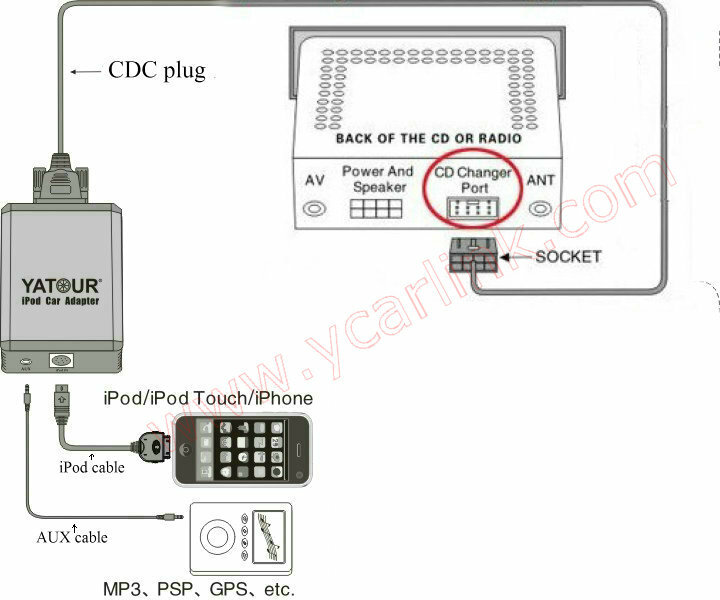 Just plug in the 30pin Apple connection or the 3.5mm AUX, and start the App from the iPhone. 2.What happens when I receive a phone call from my iPhone? When you receive a phone call, the music will dim and pause, allowing you to answer. Once the call is over, the music will resume automatically. If you want to hear the person through the speakers, you need to use the 3.5mm AUX cable (you will still have to use your phones microphone). 3.I get a warning message when I connect my iPhone. Is this normal? The warning message will appear when you connect the iPod Touch/iPhone to the car kit, it can be dismissed, and it won't appear until you reconnect your device again. The message will read "This accessory is not optimized to be used with this device". This message is normal and won't have any negative effect on your iPod or iPhone. The message is present because the car kit is not made by Apple, and message cannot be removed due to Copyright laws. 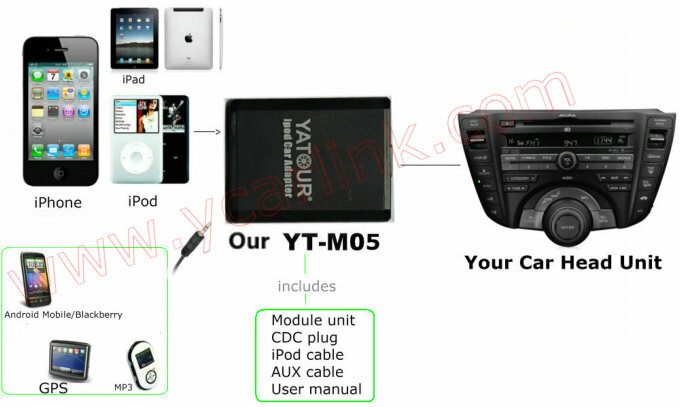 4.Is Yatour YT-M05 compatible with my iPhone 4S? 5. Is Yatour YT-M05 compatible with my iPad? 4. to the arm rest. The sound volume is the same as in FM mode and it is CD quality. To get to iPod mode you need to press DISK button or Audio Mode button on the steering wheel. You would get into CD1 mode as on the picture above. one is hybrid submode where you can switch songs both from iPod/iPhone and from the stereo/steering wheel. On the stereo you would switch songs using "SEEK-TRACK" buttons. To get into the hybrid submode you need to press DISC DOWN (button "3") until it gets into Disk 1. But in this mode Random button does not work and you cannot see the name of the song. Second submode is the Playlist - where you can switch songs only from stereo (iPod is locked). In this mode you can switch between playlist using DISK DOWN/DISC UP (button "3" and "4"), use Random song feature (button "1"), use Repeat song feature (button "2"), see the text of the song and playlist number ("Text" button). I also really like fast forward (button "5") as I usually listen to 2-hours trance shows like State of Trance and without this feature you can get stuck with very bad music . The iPod is automatically gets paused when you turn off the stereo, remove the key or switch to FM mode. It resumes at the same position when you go back to CD1 mode or start your car. 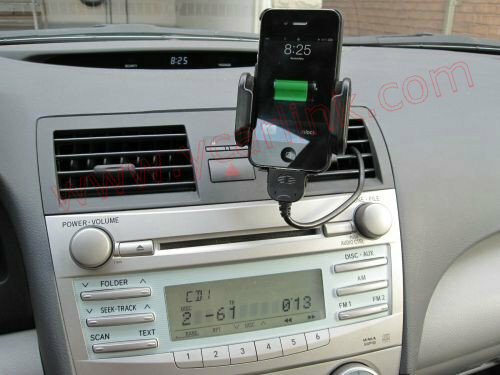 iPod is not charging when you remove the key from ignition, so as to avoid completely discharging your car battery. 1. This kit does not use factory AUX in any way. You can still use factory AUX after pressing AUX button and listen to the music through this port. It is because this kit is not made by Apple, just ignore this message and it disappears at some point without any actions on your side.